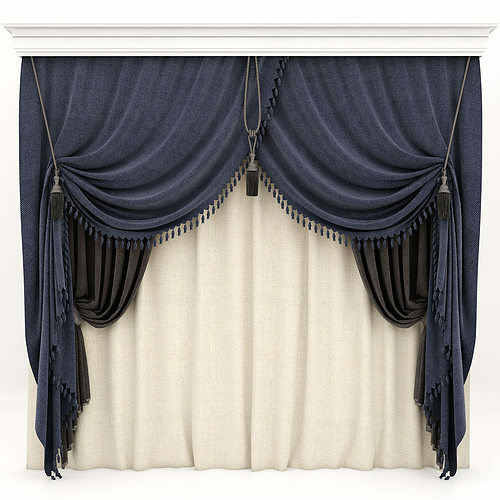 You can appreciate the curtains with the pick-up and brushes as you see in the preview! The archive presentedin all the necessary texture to the model, materials mood! UVW coordinates are set! Debris and collisions in the scene, no! You'll be glad to be helpful!